The YogaVanam Teacher Training Institute is dedicated to the education of yoga practitioners. Practitioners should come with the sole purpose of studying the tradition from its source. Students traveling to YogaVanam should not come with the expectation of obtaining Authorized or Certified status. The YogaVanam yoga Institute is dedicated to the education of yoga practitioners. Practitioners should come with the sole purpose of studying the tradition from its source. Students traveling to YogaVanam should not come with the expectation of obtaining Authorized or Certified status. The list on this website constitutes the official record of teachers approved by the YogaVanam, which is the only authority able to authorize or certify individuals to teach the yoga method as taught by yoga kalaimamani Shri S Vijay Rampal. 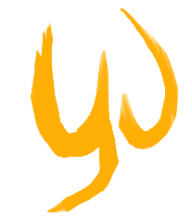 There are no teacher training programs approved by this Institute; teachers that are listed on this website are experienced practitioners and dedicated students who have shown a considerable degree of proficiency and appreciation of Yoga in its traditional form and who continue to study regularly at YogaVanam. Teachers are required to teach the method as it is taught by S Vijay Rampal. They should maintain a yoga room or shala to allow for daily, preferably morning, YogaVanam-style practice and should honor Saturdays and the full/new moon days as rest days. To attend classes at the YogaVanam Yoga Institute, please fill out and submit the registration forms. Application forms should be submitted 1 months in advance of your arrival date. Students will not be allowed to practice in yogavanam if their form is received within 1 month (30 days). Forms received beyond 3 months will also not be accepted. All students (old and new) are to fill out an application form before coming to YogaVanam. This includes certified teachers. Students who have not submitted their application form will not be able to register at YogaVanam. Students are expected to learn for a minimum of one month and for no longer than three months of study per trip. There must be a minimum 6 month gap between the conclusion of one trip of study and the commencement of the next, regardless of the the duration of your stay (e.g., a stay 1 month or 3 months). Registration in Yogavanam: Once in Yogavanam, please register in person at the Shala. Registration timings for Vijay Rampal’s class are Monday-Saturday (3:30 - 5:30 AM). Students will be asked to fill out another registration form, as well as supply another passport size photo and a copy of their visa page when registering in person at YogaVanam. Students must pay by cash when they register in YogaVanam, and full fees are expected from the start date. * There will be no refunds or credit for future classes. * Full fees are expected from the start date. * Cancellations and change of dates will not be granted. * Extensions of stay will not be granted. * YogaVanam does not provide any accommodation or food. You must arrange this yourself. Return your application form and references by the closing date by email to: [email protected] or by post to YogaVanam, 8/9, 6th street, 1st Avenue, B- Sector, Anna Nagar West Extension, Chennai 600101 . Curious mind of a two year old, tonnes of sadhanas and the love for sharing experiences... what else makes the divine proportion to rise as a yoga teacher. Authorize to teach Foundation First (Level 1) Course and Practicing Primary level 1. Awarded Yoga Kalaimamani for the servises in the Field of Yoga. 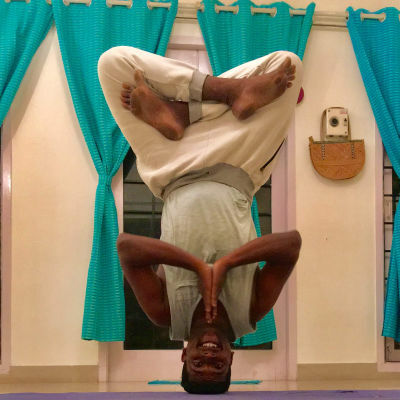 Over 15 years of experience in demonstrating yoga at various conferences, competitions and awareness camps, have been practicing yoga for past 25 years and teaching yoga from 2011. Authorise to teach up to Intermediate Level 2 Course and Practicing Advanced Level 1. 8/9, 6th St, U R Nagar Extension, B-Sector, Anna Nagar West Extension, Chennai, Tamil Nadu 600101.